The Wyvern™ 1000-HE amplifier by KMLabs is the only variable repetition rate amplifier in today’s high energy kHz class market. Offering industry leading “hands-off” computer-controlled tuning of repetition rates and the highest scalable pulse energies available in the market. Make sure you answer these questions before buying any ultrafast amplifier, and future-proof your system! 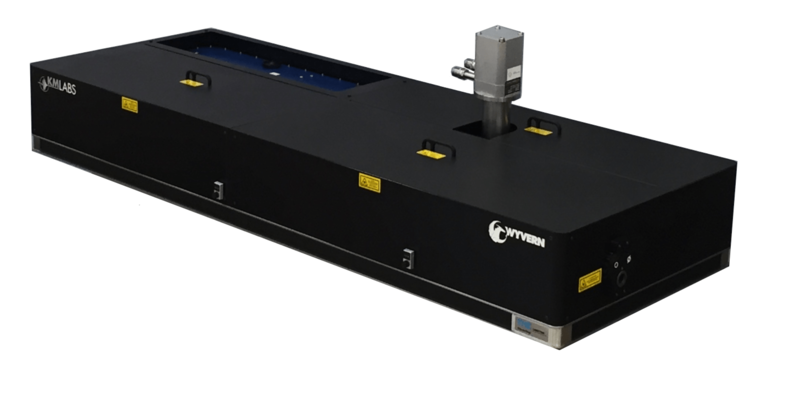 Utilizing a simple Single-Stage design the Wyvern 1000-HE is a cut above its closest competitors that require more complex Two-Stage or Dual-Head architectures in order to reach similar energy levels. Our patented Cryogenic technology eliminates thermal lensing and heat management issues that limit the competition.